Welcome back to another edition of Sci Friday! 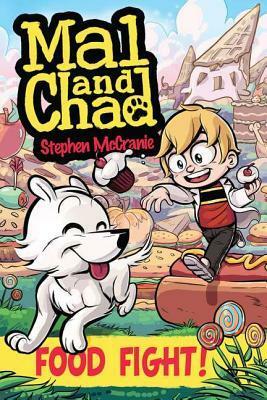 Today I'd like to feature one of my younger son's current favorite graphic novels - the Mal and Chad series. To be fair, I'm also really jazzed myself because Stephen McCranie is going to do a virtual visit with my students next week. It will be my first ever author visit, and I think I'm even more excited than my students. 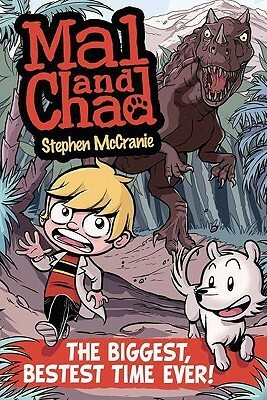 The Mal and Chad books are based on an amazing, bright, scientific minded little boy named Malcolm and his best friend Chad. The pair reminds me of the camaraderie and adventures that Calvin and Hobbes share. Mal, though, is an inventor. Unlike Calvin's cardboard boxes (remember the transmogrifier? ), Mal's inventions really seem to work. Don't you dare tell him that he looks silly wearing his robe. It's a LAB COAT! This is the hook for my son, who responds to every form of the question "What do you want to be when you grow up" with "Inventor". (Goodreads blurb) Mal is a super kid genius and Chad is a talking dog, but no one knows it. What's it like to be so extraordinary and yet so invisible? Not even Megan, Mal's secret crush, has any idea that Mal is anything more than a dork. Fortunately, Mal and Chad are best friends with a penchant for adventure . . . even if the time-traveling does get them grounded by Mal's mom. What I think: An adorable talking dog, crazy inventions, and a jaunt back into the past to see some dinosaurs. What's not to love? Well, maybe it would be great if the object of his affection decided to dabble in a little science too? One little "nitpick" - I would have loved to hear Mal use the word "herbivore" instead of "leaf eater". Would you like a little science with that? Bones Rock! Everything you need to know to be a paleontologist. 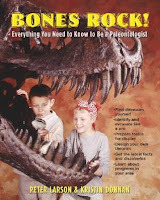 (Goodreads summary) Revealing true stories about kids who have made paleo-discoveries and providing young readers with the tools necessary to make the next big discovery, this book shows kids how to collect, clean, and study fossil samples in order to develop and further their own research interests. Examples from the fossil record and the laboratory help to answer questions raised by bones and by movies about dinosaurs, such as Could a Velociraptor really open a door? Covering actual field and lab techniques, methods for developing scientific theories, information about summer dig programs, ways to incorporate fossils into classwork at school, and plans for a future in science, this book provides aspiring scientists with applicable and educational research tools. Budding paleontologists love this book! Sadly, you should also check out this brief article on the "bummer of the day" - Science Kills All Hopes for real Jurassic Park. The second installment is just as much fun as the first. (Goodreads blurb) - Mal is a kid genius with a talking dog . . . so why doesn't anyone seem to notice him? When Chad begins having scary dreams, Mal builds a dream portal to defeat Chad's nightmare beast once and for all. Something goes wrong, though, and the beast follows Mal back to reality. What I think: An invisibility spray? A portal into the dream world? This kid has some awesome ideas and creative inventions. 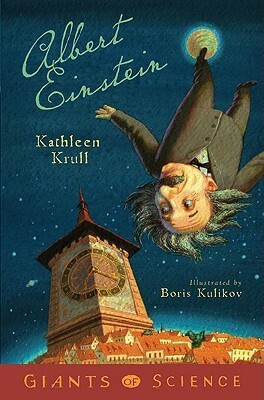 Sprinkle in a little discussion of the theory of relativity (to help his dog get to sleep) and an origami flower and you have a book that will appeal to fans of science, adventure, and a little mayhem. Pair Food Fight with biographies about Einstein, since Mal is a huge fan. He even attends a school called Einstein Elementary, and chats with the statue head of Einstein when he has a sticky problem to solve. 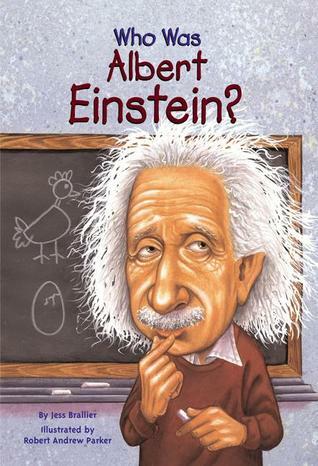 The "Bobblehead" series is a great biography set, and the Giants of Science is also a fabulous one for getting kids interested in scientists through time. 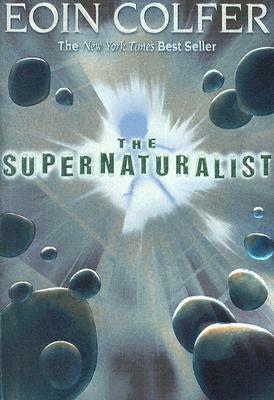 Next week, I promise I'll get the Colfer book The Supernaturalist up! My younger son hasn't let go of the book long enough for me to read it.